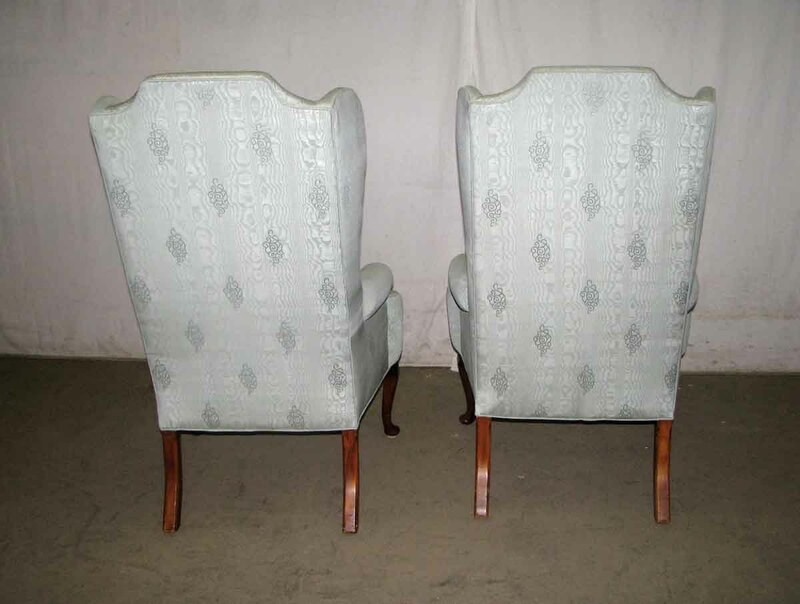 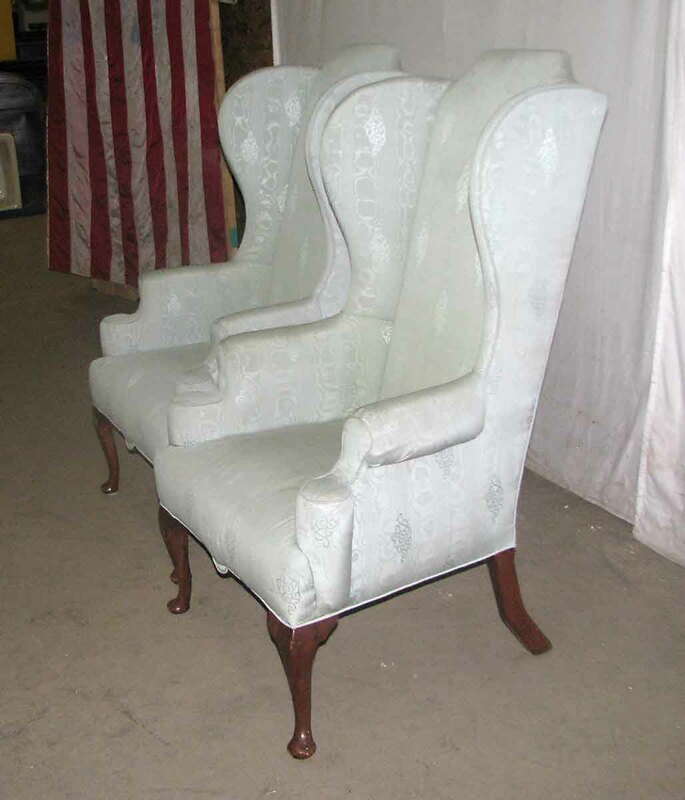 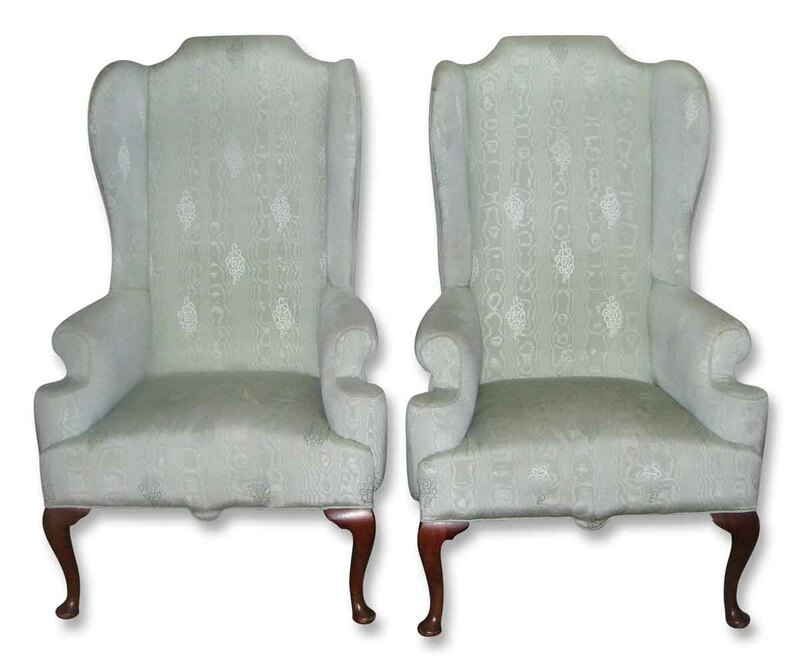 Walnut frame wing back chairs. 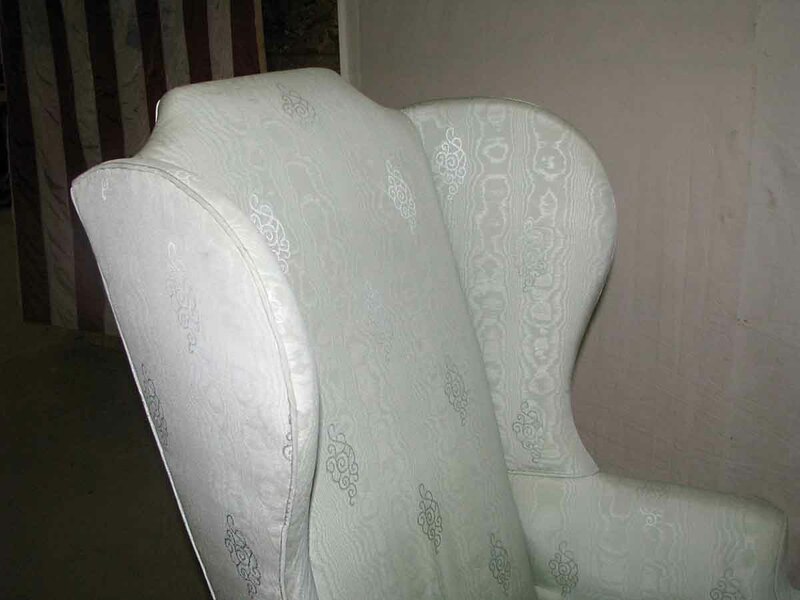 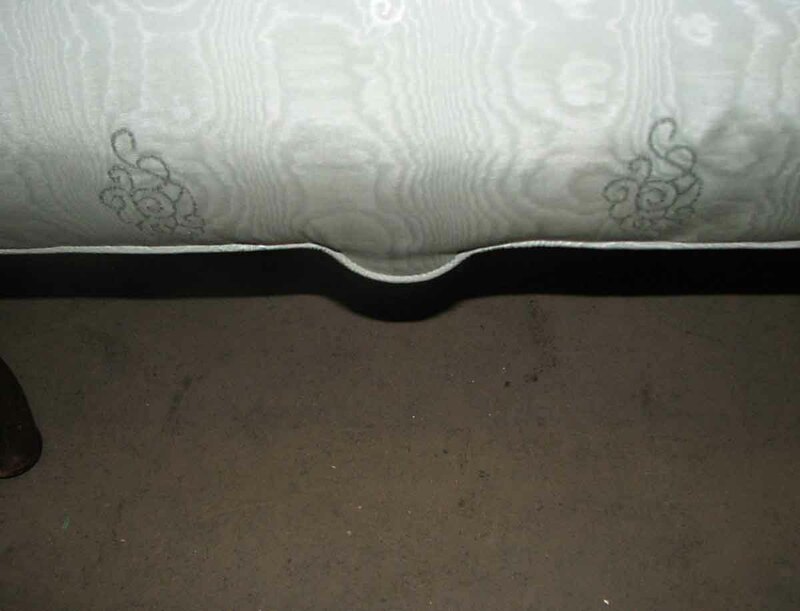 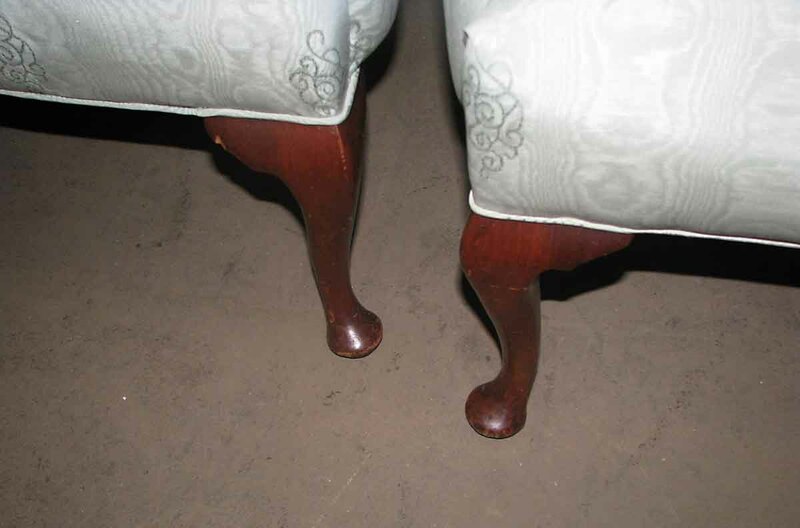 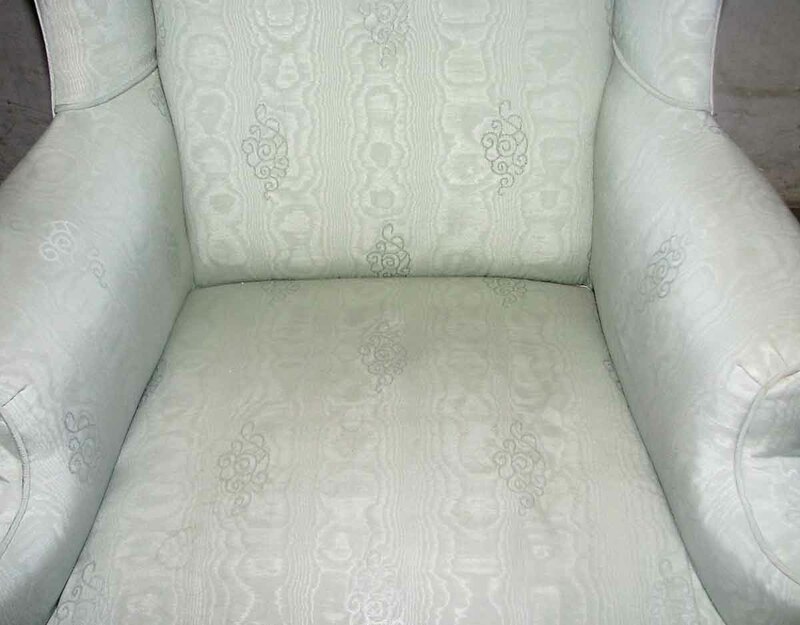 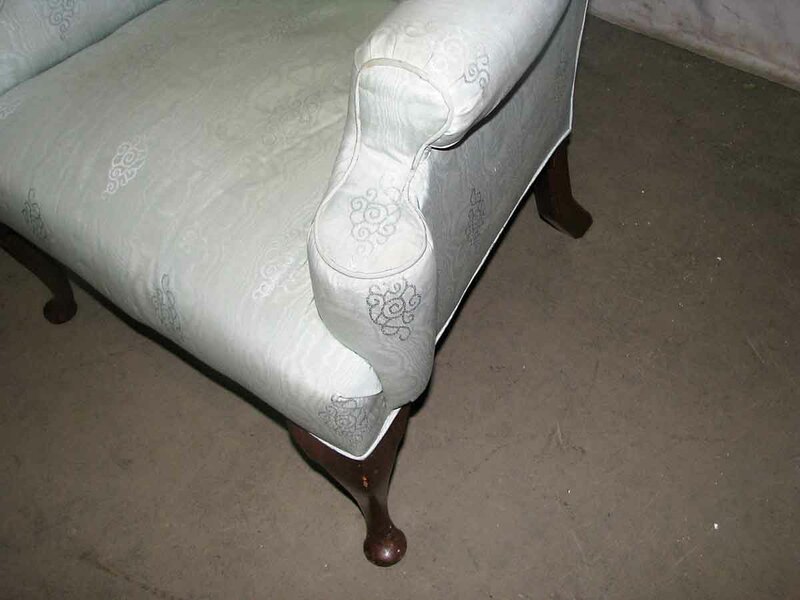 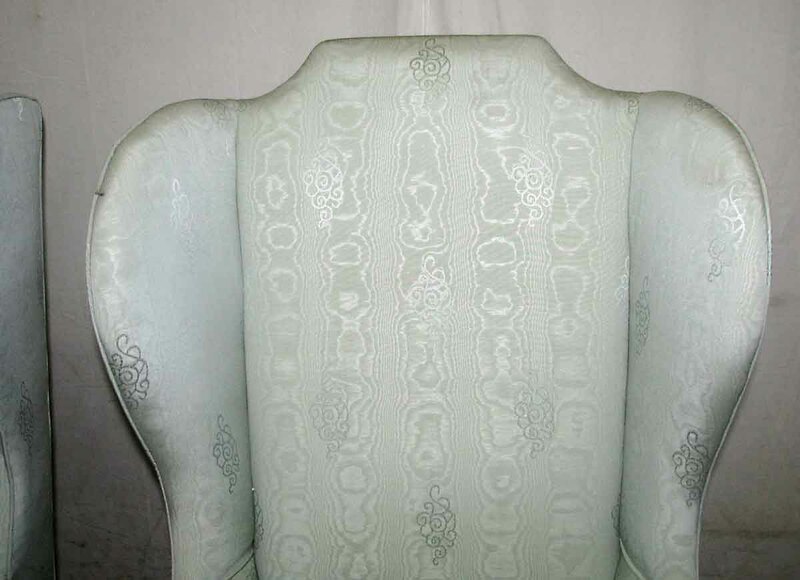 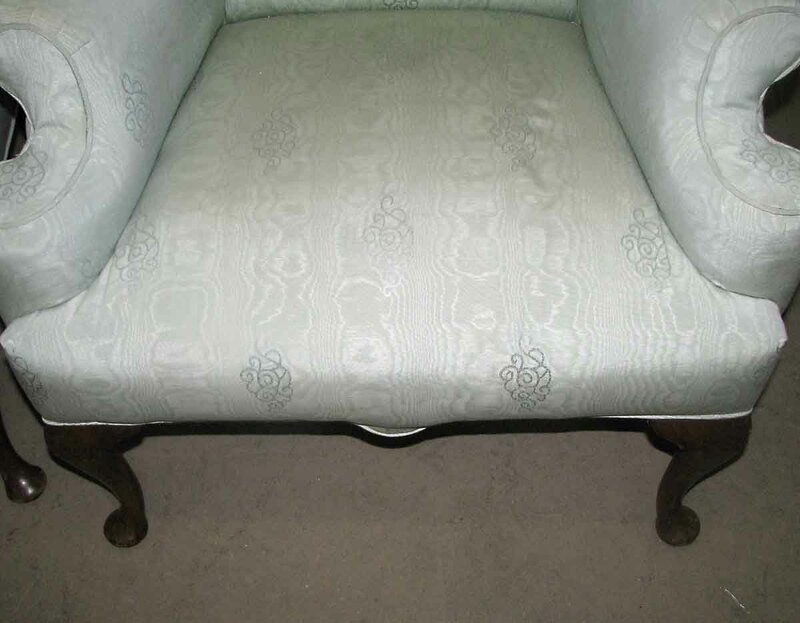 The upholstery is fairly recent and in good condition. 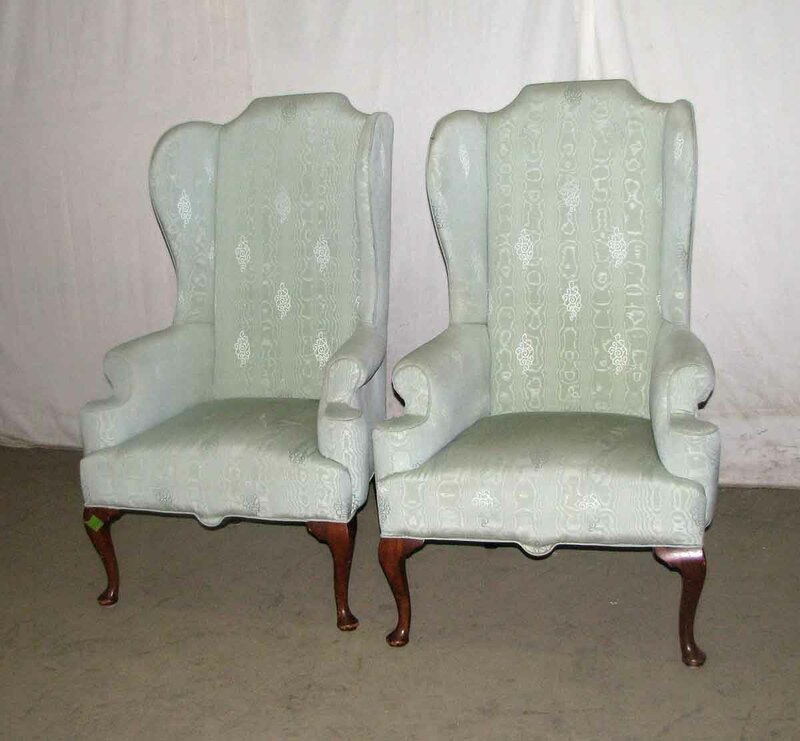 Price as a pair.